Falling under the company’s Distillery Series, Woodford Reserve Toasted Oak Rye is a limited release which can be found only at the Woodford Distillery gift shop in 375ml bottles. Toasted Oak rye is the second of three ryes that will be highlighted in the Distillery Series this summer. Along with Toasted Oak Rye, the series consists of Blended Rye, and a specialty barrel-finished rye. 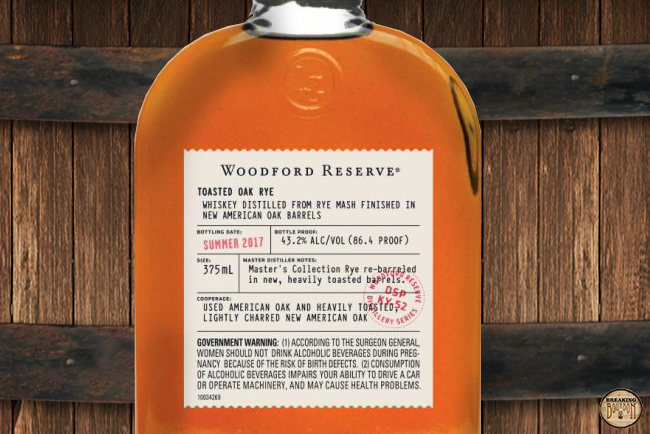 Woodford Reserve Toasted Oak Rye is a unique variation in maturation as compared to their continuously produced Woodford Reserve Distiller’s Select Rye. For this release, Brown-Forman states that the rye consists of “rye mash distillate matured in used Woodford Reserve Distiller's Select Bourbon barrels and re-barreled (finished) in new Woodford Reserve Double Oaked barrels for two years.” These Double Oaked barrels themselves deviate from a standard barrel used for standard Woodford Distiller's Select, due to the fact that they are deeply toasted before being lightly charred. No further aging information was provided. The bottle being reviewed is from the Summer 2017 release, which at the time of this review is still being sold in the gift shop. Initially sweet fragrances of vanilla, light rye spice, and a dab of caramel and toasted sugar are present. After lingering for a while and being exposed to a bit of air, the finishing, presumably from the Double Oaked barrels, begins to pull through adding aged oak to the fray that rounds out the experience. It’s a subtle addition that plays well with the sweet fragrances in an overall subtle nose. The sweetness carries through to the palate. Sweet cherries, butterscotch, and vanilla intertwine with doses of tannic wood. Not a trace of dominating rye spice in this palate, although this shouldn’t come as a complete surprise though, as Distiller’s Select Rye also doesn’t contain an overpowering rye profile. While the end result is certainly tasty, finishing in new and used bourbon barrels lessens whatever hope this rye had of tasting like a traditional rye, and instead moves the palate closer to tasting like a bourbon. The finish is dry throughout. Butterscotch, leather, and aged wood are all immediately noticeable. It rounds out on notes of subtle rye spice, dry pepper, and leather, with a warming heat lingering slightly in the background. The delivery of these flavors however are mundane and this is the weakest link in the overall flavor profile. From a pure maturation and finishing process, this is an interesting whiskey. It starts with maturing the rye in used Woodford Distiller’s Select Bourbon barrels for an undisclosed amount of time. The rye is then transferred over to new Double Oaked barrels for 2 years of finishing thus the naming for this release. 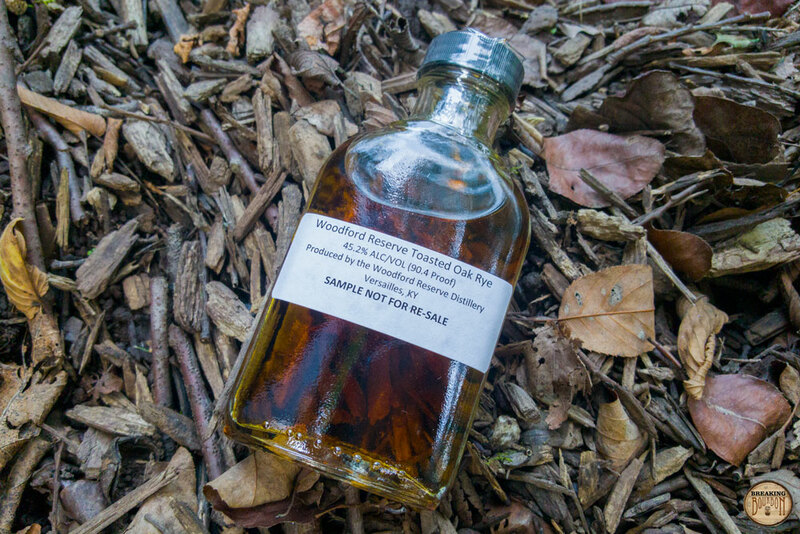 I find standard Woodford Distiller’s Select Rye to be too subtle for a rye offering, lacking strong rye characteristics and leaning heavy on bourbon ones. I was hoping Toasted Oak Rye’s maturation and finishing process would bring something new to the experience or at least offer a very unique flavor profile. While the use of used and new bourbon barrels adds oak and tannic flavors to the equation, it doesn’t do much to really enhance it, or to really stand out among other barrel finished ryes in the market such as Angel’s Envy Rye or High West Double Rye releases that are finished in Campfire or Manhattanbarrels. 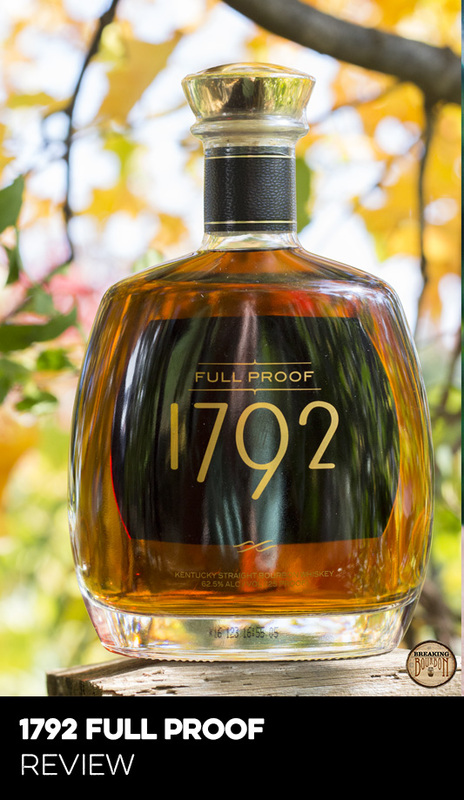 With Toasted Oak Rye, you get a unique maturation and finishing backstory with an average end result. I felt that Woodford’s Blended Rye could easily own up to its $50 price tag, but I don’t walk away feeling the same about Toasted Oak Rye. The flavor profile is just average, and while it’s interesting to have it finished in Double Oaked barrels for two years, overall it isn’t advancing Woodford’s Rye line. Add in the fact that this is only sold in 375ml bottles, and I have a hard time saying that this is money well spent. 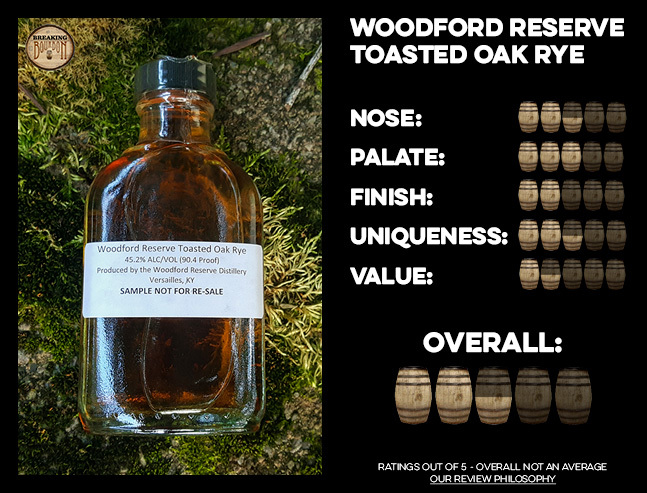 While slightly more enjoyable than the standard Woodford Rye, Toasted Oak Rye doesn’t quite live up to the bar set by its recently released Blended Rye sibling. I had high hopes for this rye based on how well Blended Rye came out. The first rye release in this Distillery Series really showed off Woodford’s capabilities of crafting a great rye. Unfortunately this is not the case this time around. 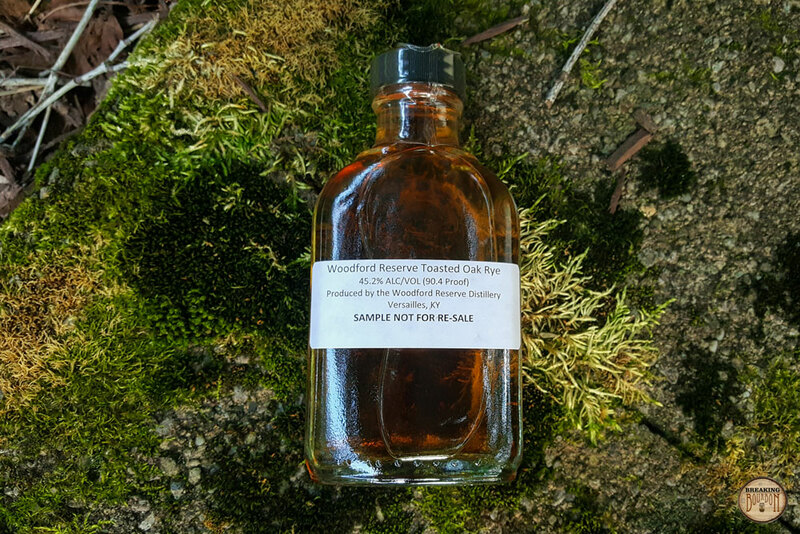 The end result of the time spent in both Woodford Distiller’s Select and Double Oaked barrels results in an overall muddled rye experience in comparison to Blended Rye. That said, credit is due to Woodford for giving this a go and developing their rye brand further, as it makes me look forward to seeing what their upcoming third release in the series brings in comparison.